Kids love stickers!!! We produce them, we mix them and then we pouch them, always according to your needs and thoughts. Sticker types include simple, transparent, holographic and any state of the art material. We create cards with simple, prismatic or metallic printings. We can deliver large quantities in quick time. 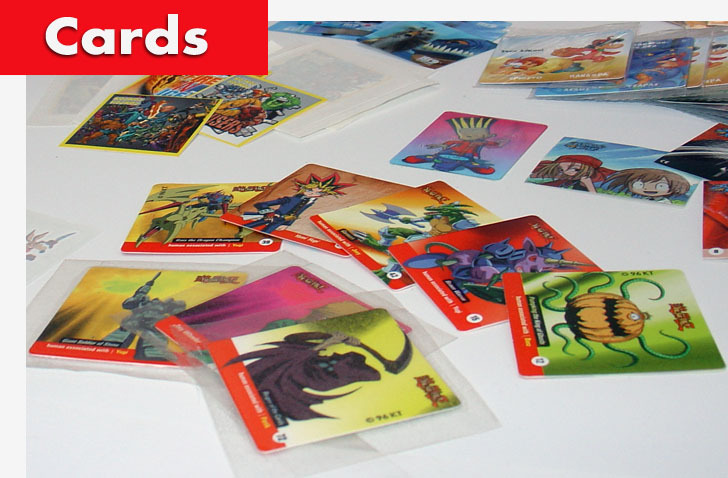 These cards are suitable for trading, mind and strategy games. Nevertheless, they can also include figures of athletes and champions. Ideally, they can be used for promoting consumer goods and children food. We create Tazos with simple, prismatic or metallic printing. These can be pouched in food safe and they can be delivered in large quantities, in short time. 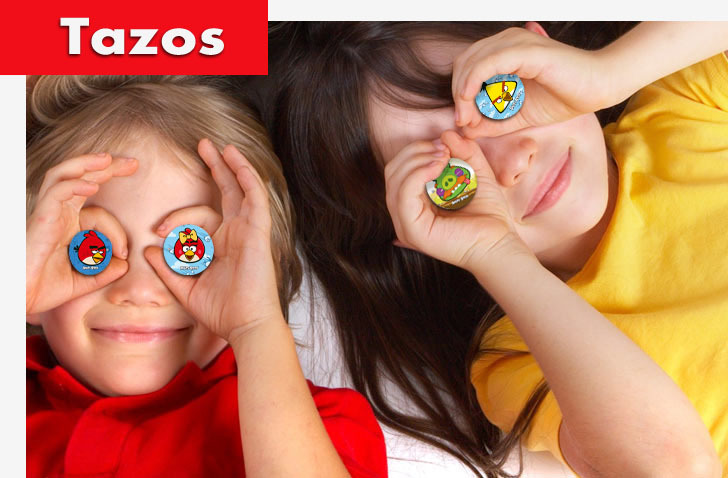 Tazos can be used as an excellent promoting solution for consumer goods and children food. Children and teenagers will be impressed if you use this new material. Differentiate your goods from the completion! 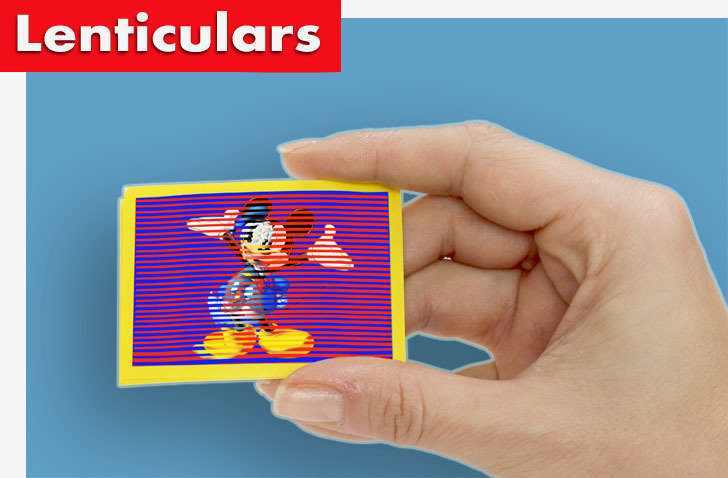 Choose one of the special effects that Lenticulars can do, such as 3D, Flip, Animation, Morphing και Zoom. This material can used for fabricating any kind of products, such as cards, stickers, tazos or anything else that you may require! We can fabricate original metallic tags in classical shapes or other designs. They can be worn by children and teenagers either as necklaces or bracelets. Furthermore, they can become collectibles. 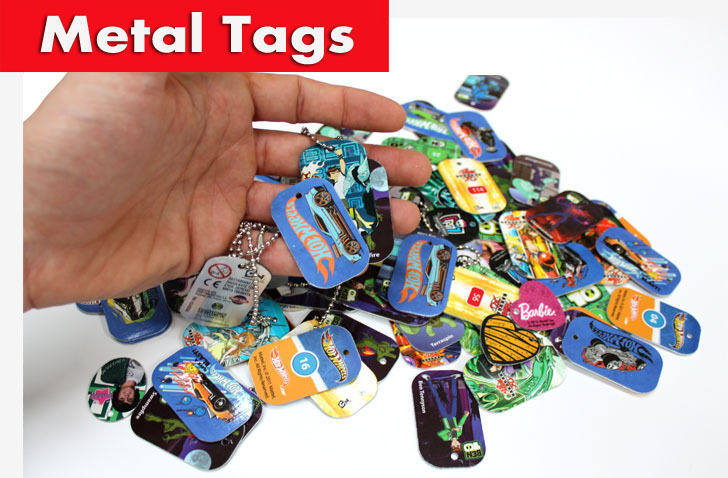 Metal tags are printed with modern printing methods and they are pouched in food safe package that can have direct contact with foods and liquids. 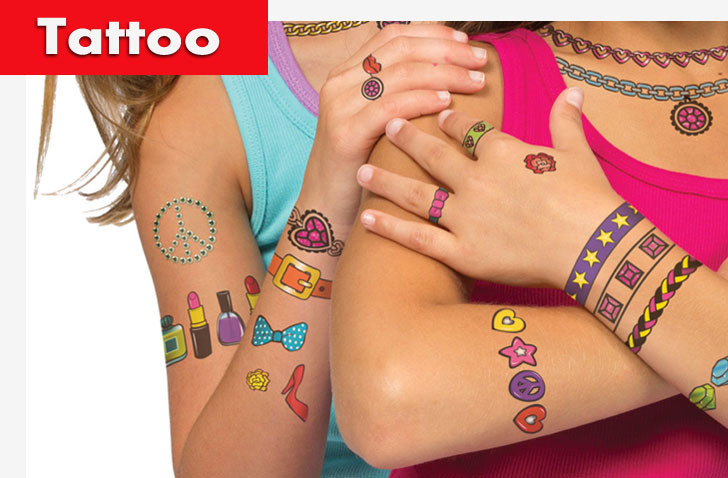 We can produce water tattoos, single or four-colored tattoos, tattoos with glitter, in various shapes and sizes. They are simple and safe to use, even from children and they can be removed easily. 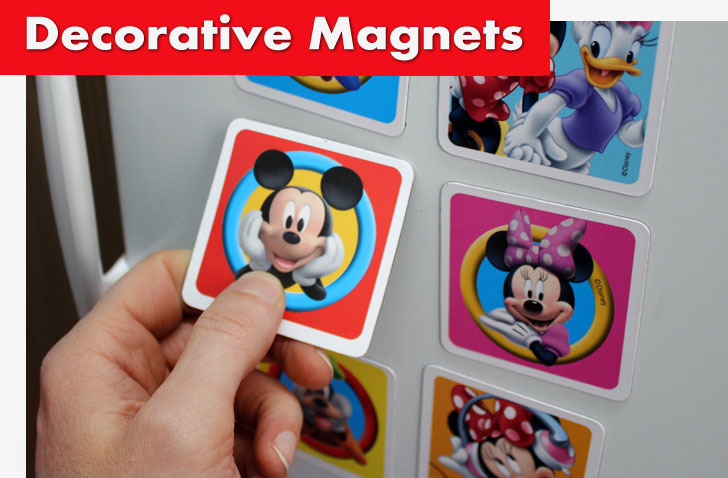 Children adore magnets!!! They can decorate the freezer or other metallic surfaces with beautiful designs! We can produce and pouch magnets to satisfy your needs and ideas. These collections are designed for children and teenagers. Their subject can be referenced to sports’ stars, wild animals, comic heroes who are known from TV series, etc. Our collections are originals and they are produced in corporation with the companies that own their copyrights.